Harry Wilson heading for the top, a mismatch in Accrington and Sol Campbell ready for his chance at Macclesfield. It seems that Reading's late equaliser against Stoke wasn't enough to buy Paul Clement any more time at Reading, as he became the latest manager to lose his job this week. Simon Grayson, who appeared on EFL Matters on Thursday, felt Clement may have been a bit of a victim of circumstance, as the Royals had been on a "downward spiral" before his arrival. Simon Grayson and Swindon midfielder Matt Taylor join David Prutton in this week's EFL Matters. "When you look at his record it's not been too good over the last nine months or so," said Grayson. "But it's very difficult going in as a new manager and trying to implement your ideas, because we all need more time than we are given. Unfortunately, though, we are dictated to by results and Paul will be disappointed he has left. "Sometimes you've got to look at the bigger picture, though, and see who has been injured, who has been available and what has contributed to the lack of results. Reading have been on a downward spiral since the play-off final, but it's a good club and a few tweaks here and there could get them out of the trouble they are in." Under-23s boss Scott Marshall is set to take charge for the visit of Sheffield United, which is live on Sky Sports Football on Saturday evening as Reading's manager search continues. Mason Mount was stealing all the headlines at Derby for his performances in the early part of this season, but it is Harry Wilson who has emerged recently as the key young loanee at Pride Park. The Welshman added to his remarkable reel of strikes this season with another couple of fine efforts last week against Swansea and now has four goals in his last three games. 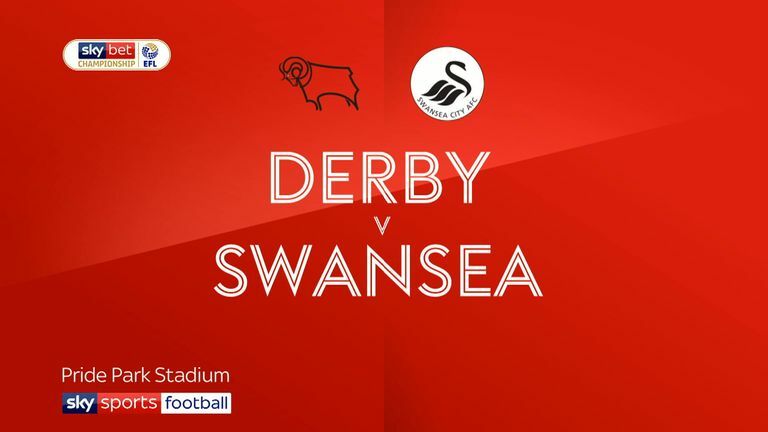 Highlights of the Sky Bet Championship clash between Derby and Swansea. Frank Lampard admitted that Wilson could be recalled by Liverpool in January, but he is naturally keen for him to stay. "At the minute he's our player, and of course we want him to stay our player for the course of the season because he is contributing," said the Derby boss. "Since Harry came there has been constant dialogue with myself, Liverpool and Harry. It is very open conversation. For me, he is here to progress, and he is progressing well. I hope he stays with us because I think we can work well for each other." It remains to be seen whether Wilson will ever get a real crack at Liverpool, considering that attacking talent at their disposal, but an opportunity in the Premier League surely beckons sooner or later. Wigan is the destination for him to show off his talents again on Saturday, where Lampard will be hoping his side take one step closer to making sure that top-flight opportunity happens with Derby next season. Since the last edition of this column we have a new leader in the race for the Championship Golden Boot, as Nottingham Forest striker Lewis Grabban's incredible form has seen him catch and overtake Brentford's Neal Maupay. Grabban got off to something of a slow start this season as he failed to net in any of his first six appearances, but 14 goals have followed in the following 13. It looks like it is going to be a season for the striker. Last season just two players reached the 20-goal mark (Matej Vydra with 21 and Grabban himself with 20), which was the fewest since 2011/12. This season you feel a lot would have to go wrong for Grabban, Maupay (who has 13), and even Tammy Abraham and Teemu Pukki (both 11 before the weekend), to reach the milestone of 20. A word of warning, though. Last season's two top scorers at this stage, Leon Clarke and Leo Bonatini, had 25 goals between them (Clarke 13 and Bonatini 12), but would go on to score just another six in total, with all of them netted by the former. A fast start does not always mean a good finish. Will there be a bigger mismatch anywhere in the country than the one taking place at the Wham Stadium on Saturday? Where Accrington Stanley, playing their first season in the third tier, take on the might of Sunderland, playing at this level for the first time in 30 years. Just over 5,000 can pack into Accrington's home, which is the smallest ground currently in use in the Football League, and nearly half of those will be Black Cats fans making the trip to Lancashire. Accrington's recent dip in form means it may not be as close a game as it would have been a few weeks ago, but excitement always exists when two clubs meet for a first time and Stanley boss John Coleman insists anything can happen on the pitch, despite the gap in resources between the two. "I think everyone was making a noise about this fixture last year before either of us were in this league," he said. "With 10 games to go last season everyone was licking their lips at the prospect of 'little' Accrington Stanley playing huge Sunderland. "It is going to create attention, it will be a fantastic atmosphere and a record crowd and I know for a fact that whatever the result the Sunderland fans will enjoy their experience here. It is well documented that they have got the highest budget but it is 11 v 11 and we believe we have a good team who are capable of winning games and they are going to have to be at their best if they are going to beat us." 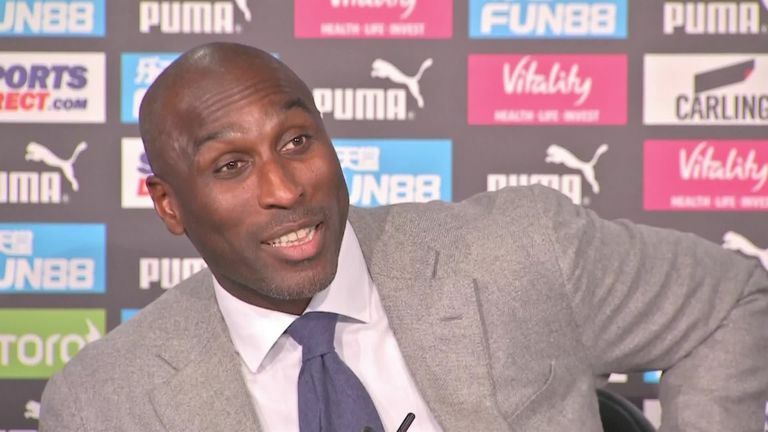 Sol Campbell's managerial career finally got going on Tuesday night as he took charge of Macclesfield in their Checkatrade Trophy defeat to Newcastle U21s on Monday night. It probably wasn't the way he quite envisioned it, in front of just over 1,000 people at St James's Park, but his side put in a creditable performance as they lost 5-3 on penalties after a 1-1 draw. The real work starts on Saturday as his side head to Colchester, who are flying high at third in the table in the race for automatic promotion. It will be a tough challenge and Macclesfield are rank outsiders to either win or get anything from the game at all. Their position is not as dire as it once was, though. A couple of wins on the spin have brought them back to within touching distance of the relegation-threatened pack and a couple more good results would likely take them out of the drop zone, something that appeared would never happen just a couple of weeks ago. And while Colchester are largely a free hit for Macclesfield, their following two games are genuine presentable opportunities for points at home to Crawley and Port Vale. By Christmas, then, we should know a little bit more about 'Campbell, the manager'.